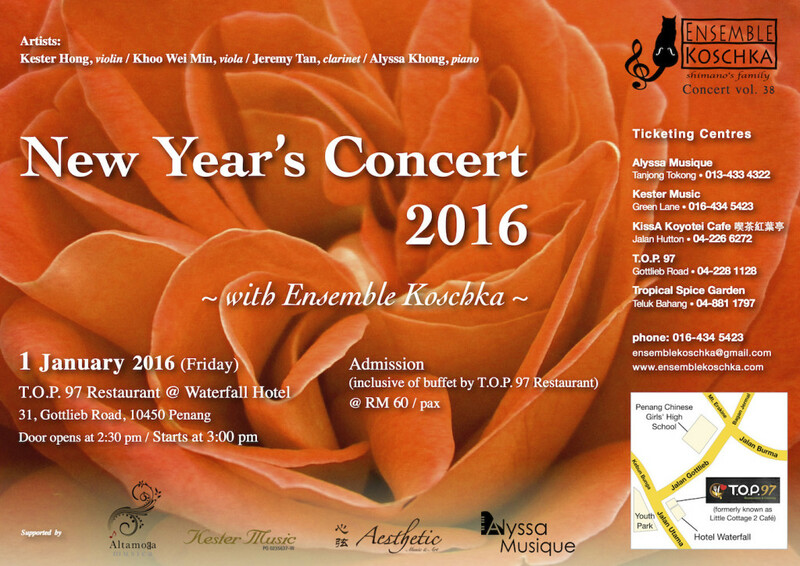 Celebrate the New Year 2016 with Ensemble Koschka! Enjoy charming waltzes by the Strauss family accompanied with an afternoon buffet by T.O.P. 97 Restaurant. For any enquiries, click here to write to us or call 016-434 5423.